A personal memoir of a beloved swami by a devoted disciple. The spiritual head of the Vedanta Society of Southern California for thirty-six years, Swami Swahananda worked ceaselessly to spread Sri Ramakrishna's message. He established seventeen centers and sub-centers throughout the United States and has left the Ramakrishna movement in the West a rich legacy. 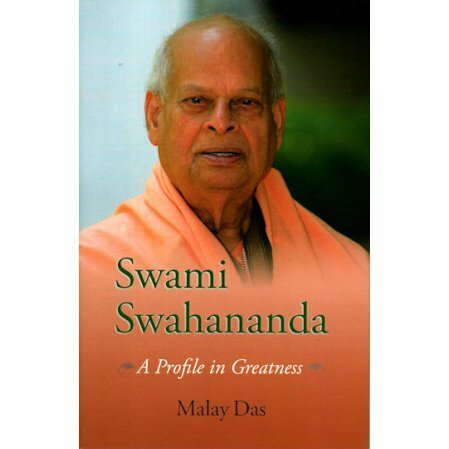 In this intimate, loving portrait, Dr. Malay Das presents Swami Swahananda as he knew him during the last seventeen years of the swami's life. We witness the guru's compassionate care for devotees and disciples, his ability to love with detachment, and his dignity and grace during his final illness. This book will remind those who knew Swami Swahananda of the ways he touched and left an imprint on their lives. For those readers who did not have the opportunity to meet the swami in person, the book offers them a glimpse into the life and work of this great monk and spiritual teacher. This book has really brought me to a different state of my daily practice. To see into the daily lives of such a great teacher and person as Swami Swahansnda was. It has helped me in remembering Thakur first in all I do and doing Japa, no matter how tired one is. It's important for us devotees to be able to read the inspiring daily life and encounters with great souls. Dr. Das book inspires greatness in myself and others and a closer relationship with Swami Swahananda.